The decision to adopt the strict provisions of the UNI EN 9100: 2009 and UNI EN ISO 9001: 2008, in software design and development for Aerospace field, is the most effective way to be skilled and professional. A constant comparison of the quality objectives with customer feedback. The effort to follow the certification / quality plans of partners and customers. Partnerships with leading ICT companies. A meticulous selection and training of the resources. A careful choice of suppliers. includes among its objectives: a significant creation and improvement of the quality and the costs reduction of the supply chain for all products and services related to the aeronautics / aerospace. 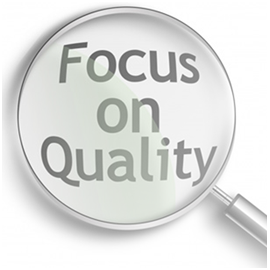 IAQG has developed specific quality requirements, activated and maintained into a complex supply chain. It provides design, manufacture and maintenance activities of products for aviation and aerospace applications. The standard AS / EN 9100 (based on ISO 9001) adds specific requirements of the aerospace industry to meet the requirements of the sector authorities and manufacturers. The process focuses to configuration management and methodologies industry, including additional requirements regarding safety, reliability and navigability. The standard AS/EN9100 includes many requirements that are identified in the JAA ed EASA Part. 21. Only those Management Systems that are certified by an accredited Body – in compliance with the requirements of the European Aerospace Certification Scheme of the Suppliers Quality System, using authenticated aerospace evaluators- will be recognized and accepted worldwide. Organizations certified in accordance with AS / EN 9100 are inserted into a worldwide database, so that it is always available to update the status of certification. In Italy ACCREDIA is the accreditation body for the standard AS / EN9100 monitored by the Certification Body Management Committee of IAQG, in cooperation with the national authorities – civil (Civil Aviation Authority) and military (ARMAEREO e Logistic Command). Italsystem s.r.l., adopting the above standards, takes advantage of a monitoring reduction and the guarantee of the results.